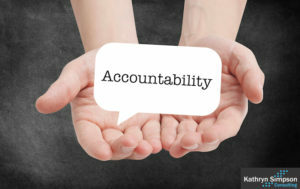 Creating accountability – a missing step in achieving your goals? How many times have you been in meetings with people who you thought were accountable to deliver tasks, only to find that was not what they believed? Its particularly frustrating when these people report to you. As a leader of cross functional projects the challenge becomes even larger and the skill of creating accountability is more critical. If people don’t feel accountable then tasks or projects won’t get done. One of the biggest challenges within teams (and organisations) is creating a culture of accountability so people feel personally accountable. Don’t want to – people aren’t bought into the reasons for doing the task.They don’t see the value for themselves or the organisation in completing the work. Not able to – what they are being asked to do isn’t clear, they believe they don’t have the skills to complete successfully, they haven’t been given permission to do it, they don’t have the time to do. One prevalent issue is a combination of these two basic reasons, people appear not to want to do the task (reason 1) because they don’t believe it is a priority over the myriad of other tasks they have on their plate (reason 2). Click here to see some ideas to prioritise more effectively. Start by discussing why the project and the individual goals are important.Use the principles discussed in Simon Sinek’s book “Start with WHY”. He describes how understanding the context of what you are doing, the link to broader organisation goals and vision and your own personal goals creates significant motivation and momentum for the task. This is one way to address the “don’t want to” reason. Ensure that the accountability environment has been set up. Will successful completion of the tasks reflect well on the individuals involved? Will they be recognized (in the way they like to be) for their contribution by their managers? Make sure you have clarified expectations and are checking understanding.Roger Connors and Tom Smith in their book “HOW did that happen” share a simple 4 step process of form, communicate, align and inspect expectations. Following this sequence allows for any misalignment on clarity, skills and priorities to become clear. The principles described are applicable to a project or change manager who is creating accountability for a cross functional team where there is no formal authority as well as line managers. Never leave a (project) meeting without clear next steps. Ideally write them so they are visible on a screen or flip chart with people’s names and due date. 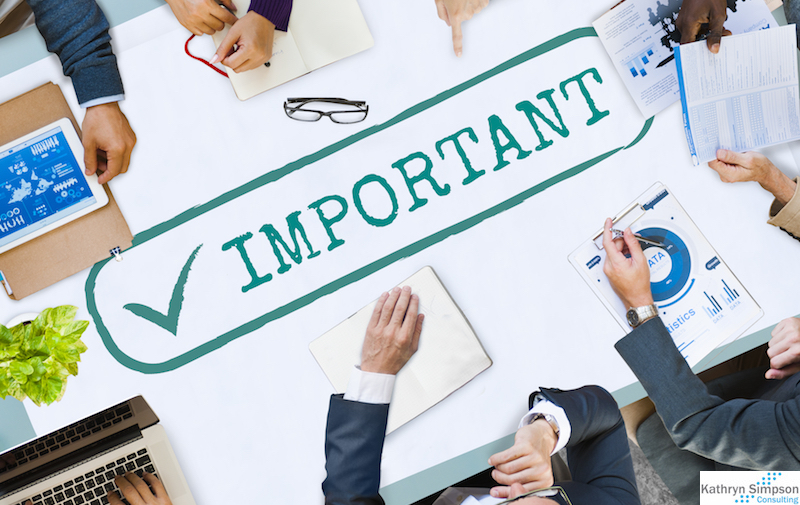 Discuss and negotiate due dates so you are comfortable that people are fully committing. If actions are assigned to people outside the room – assign accountability to someone in the room to make it happen. Make accountability transparent. In one of my career-forming moments I shared with a team a report of who had completed the templates that had been agreed and who had not. It was amazing how that helped completion before the next meeting. My perceived neutrality and gentle non-confrontational approach (no blame) allowed this to work well. Close the loop – discuss why accountability is not happening. Start each project meeting reviewing whether actions have been done or not is a good first step. Taking the next step of delving into why actions have not been completed can move you closer towards a culture of accountability within your team. These are some of the tips that I have found useful in making sure that ideas and projects don’t remain as ideas but get implemented. If you would like to create more accountability in your organisation please get in touch with me! Acknowledgement to: Barbara Henders for her thoughts on cultural accountability.